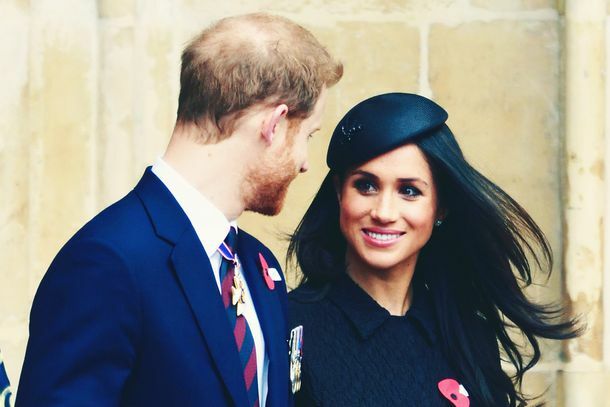 Why Are People Freaking Out About Meghan Markle and the Queen’s Jewels?Another day, another tabloid report. Kate Middleton and Queen Elizabeth Step Out in Very British OutfitsThey made a rare appearance without any other members of the royal family. The Queen Reportedly Wanted to Stop Meghan Markle’s DadBut Meghan and Prince Harry stopped Buckingham Palace from getting involved. 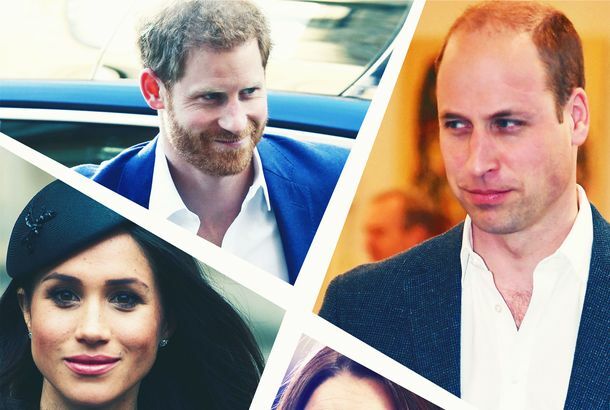 Inside the Royal Gossip MachineA look at how royal drama makes its way to the tabloids. Claire Foy’s Meeting With the Queen Didn’t Even Include Crown TalkFor time and year reasons, she recalled on SNL. Queen Elizabeth Looks Extremely Luxurious in New Royal PortraitThe portrait by painter Nicky Phillips shows the matriarch looking serene. Hear Ye, Hear Ye! Charles Goes From Lad to Prince in This The Crown PhotoNo Camilla in sight … yet. 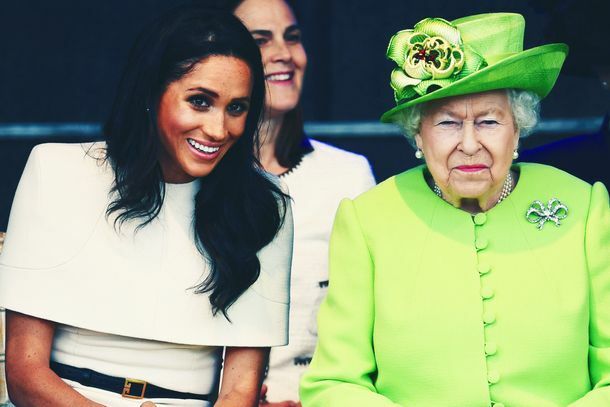 Queen Elizabeth Reportedly Invited Meghan Markle’s Mom to ChristmasThe Middletons have yet to be invited to stay at her estate for the holidays. 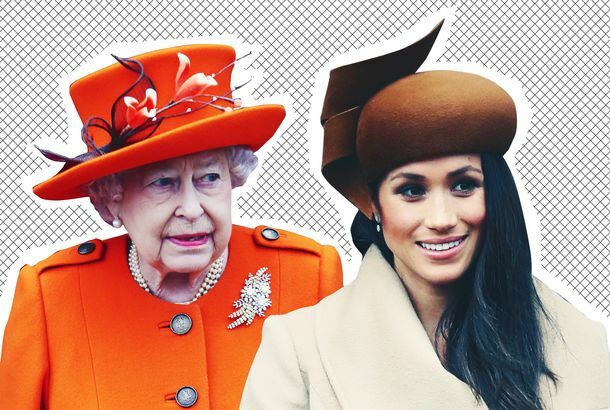 Meghan Markle and Queen Elizabeth Overcame Hat Drama TogetherThe reported hat saga brought them closer together, instead of tearing them apart. Wait, How Many ‘Last Corgis’ Does the Queen Have?Her last corgi just died … months after her other last corgi died. Hmm. Behold: Queen Elizabeth Perusing Some Hats at the MallNormal people doing normal things. Meghan Markle Has Finally Given Her First TV Interview As a RoyalWe’ve been waiting, erm, since mid-May for this. 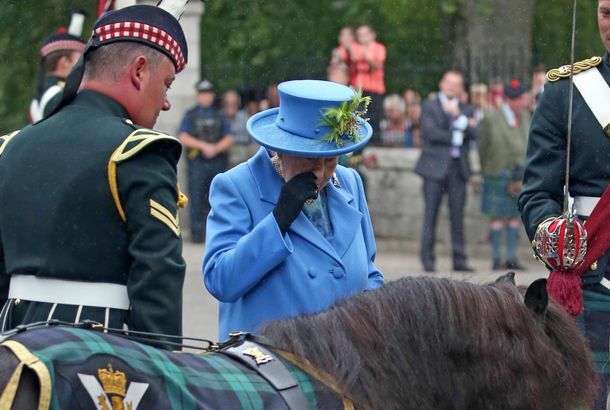 Queen Elizabeth Confronted by a Formidable OpponentA pooping pony. Trump Claims the Queen Kept Him Waiting (Despite Pics, Video Showing Otherwise)An interesting interpretation of events broadcast live. Meghan Markle Has Two Best Friends (the Queen and Kate Middleton)They’re basically her “closest friends” now. Meghan Markle’s Dad Has Decided to Pick a Fight With the QueenThomas Markle Sr. won’t stop talking to TMZ. 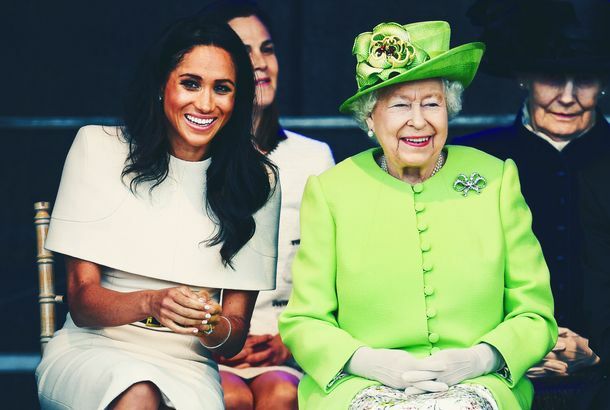 The Best Moments From Meghan Markle and Queen Elizabeth’s Road TripThey had the time of their lives! 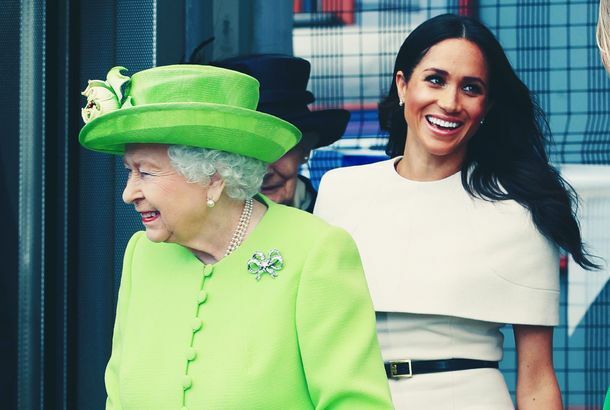 Meghan Markle Asks the Queen for Royal-Protocol HelpBecause being royal is tricky. Meghan Markle and Queen Elizabeth Are Having the Best Time on Their Road TripThey can’t stop laughing together. Queen Elizabeth Gives Prince Harry and Meghan Markle Her Official ConsentBuckingham Palace released the handwritten document. 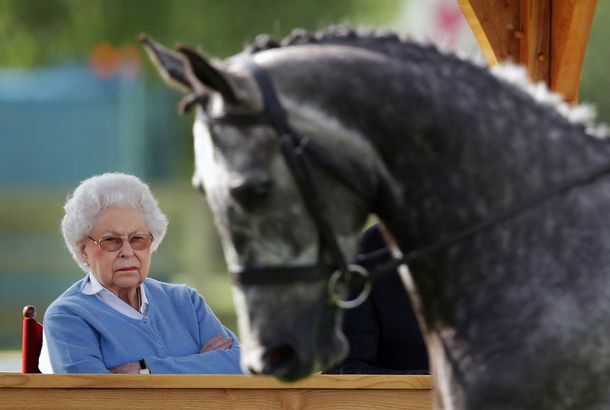 I Can’t Stop Looking at These Pics of Queen Elizabeth at a Horse ShowWhat a wild ride. 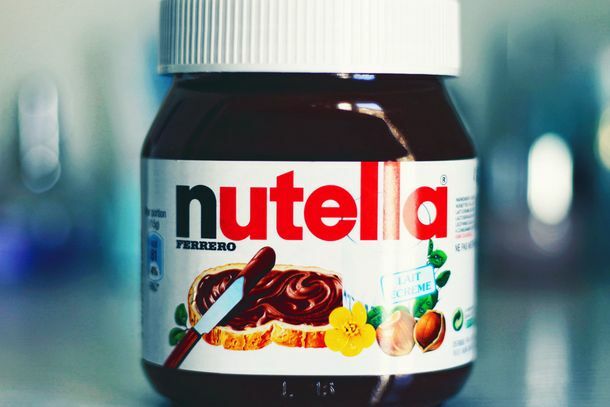 Is This the Queen’s (Fancy) Wedding Gift to Meghan Markle and Prince Harry?What a regal thing to give. How Meghan Markle Won Over the QueenA lesson in how to charm the world’s longest-reigning monarch. Watch Shaggy Perform at Queen Elizabeth’s Party, Just for the Confused ReactionsSting was also there, and he continues to look delicious. The Queen’s Last Corgi, Willow, Has DiedQueen Elizabeth II has had corgis since 1936. Queen Elizabeth Finally Makes a Trump JokeShe compared him to a noisy helicopter. Area Monarch Reportedly Gets Mean After ‘Several Martinis’Queen Elizabeth reportedly called Camilla Parker Bowles a “wicked woman” one night after a few drinks. 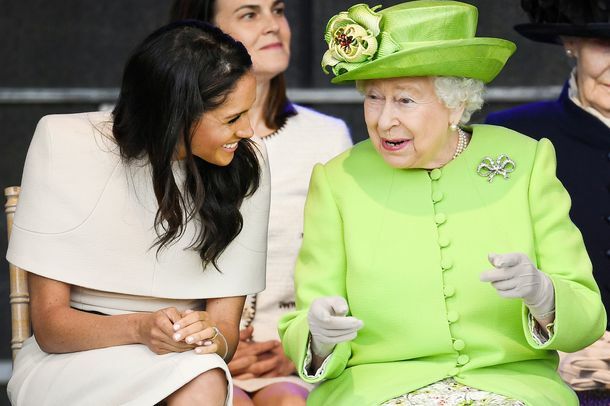 The Queen Officially Approves of Meghan MarkleThank god. A Teen’s Attempt to Assassinate Queen Elizabeth Was Covered Up, Until NowPreviously classified documents confirm a 17-year-old opened fire on the Queen. Queen Elizabeth Fires Royal Bra-Fitter Over Tell-All BookThe book is full of intimate secrets about the royal family. Queen Elizabeth Fires the Royal Bra-Fitter Over Her New Tell-All BookShe reveals secrets about fittings with Princess Diana and Princess Margaret. Blimey! Did the Queen Reference The Crown in Her Christmas Message?That sneaky monarch. Blimey! 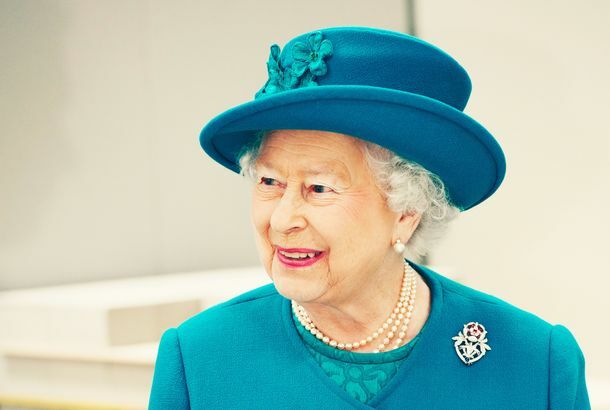 Did Queen Elizabeth Reference The Crown in Her Annual Christmas Message?That sneaky monarch. 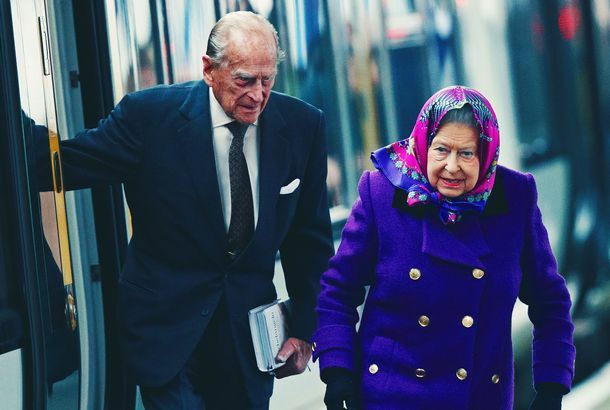 Here’s Queen Elizabeth and Prince Philip Riding a Train During the HolidaysHow relatable. 9 Notorious Prince Philip StoriesAs The Crown segues into the 1960s in its second season, one of the most striking differences from season one is the treatment of Prince Philip. This Week in Drama: Mila Kunis Trolls Mike Pence and MoreWe recap the pettiest squabbles, juiciest feuds, and other niche drama you didn’t know you were living for every week. Victoria Beckham to Receive an OBE From Queen ElizabethThe designer is being recognized for her contributions to both fashion and philanthropy. 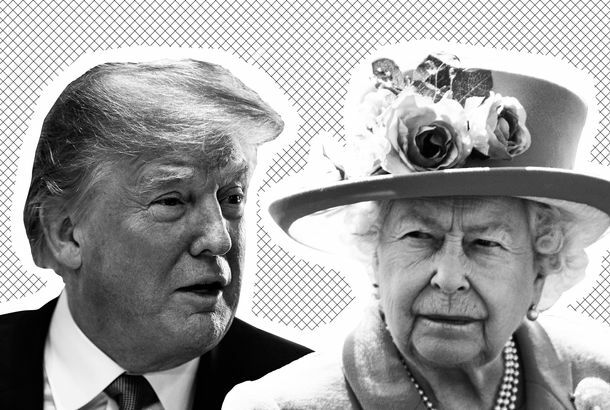 Feast Your Eyes on the Horror That Is Trump’s Face With Queen Elizabeth’s BodyTerrifying. The Stories Behind the Crowns of The CrownThe real stars of the show. Why Should I Care About Queen Elizabeth II, Star of Netflix’s The Crown?At first glance, she’s an odd monarch to put at the center of a potentially massive, hideously expensive, lavish historical TV show. 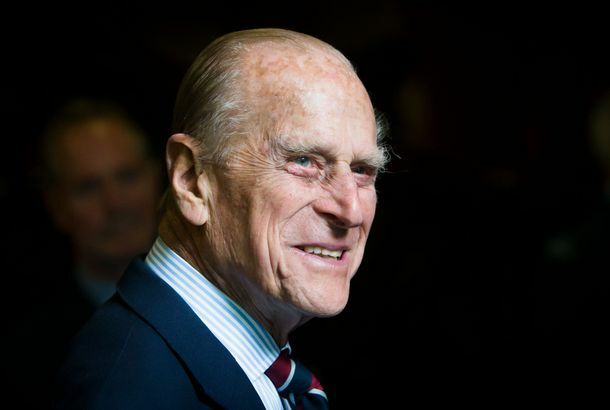 Newest Queen Portrait Features Prince Philip Those two have been goin’ strong for nearly 69 years. Prince George Got His Own Winnie-the-Pooh BookMade for the queen and Pooh Bear’s shared 90th birthday.